I’m pleased and honored to announce our second all-star Graider of the 2017-18 school year: Bronwen Hale Dearden. Bronwen is a recent graduate of Brigham Young University and she’ll be entering the classroom next fall as a member of the 2018 Teach For America corps. Just this week Bronwen found out her official placement: Special Education in Washington, DC. Congrats, Bronwen - we are so excited for you! We’re only two months into the new school year, but Bronwen has wasted no time in making a big impact on Graide Network teachers and students. She’s worked with 9 different teachers to date, supporting a range of writing and humanities courses - from English I to AP Psychology! Teachers have been blown away by her well-constructed, specific feedback, speedy work, and excellent communication skills. Plus, she’s had the chance to give feedback to over 300 students. What an impact! 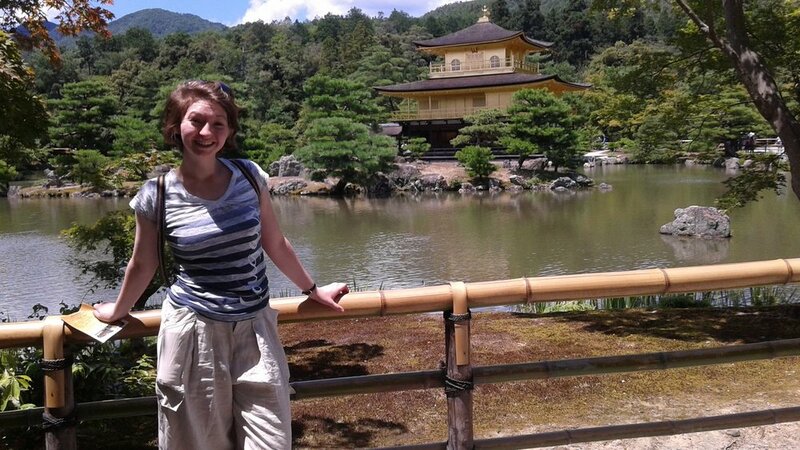 Bronwen grew up abroad and spent 4 years of her academic life at international schools in Shanghai and Beijing. She moved back to the United States just before her junior year and transitioned to a public high school. At her new school back home, Bronwen was struck by a dramatic cultural shift. Her old international school had a vibrant, exciting school culture where teachers were energized and empowered. Her new school was missing that spark, and the difference was palpable. Excitement was overshadowed by stress and anxiety among many staff members. The atmosphere was noticeably more strained. While Bronwen had fantastic teachers at both schools and received an excellent education all around, the stark cultural change always stuck with her. She began reading and learning more about the US public school landscape and the US teaching profession in general. In her research, she realized she had found her calling. Bronwen is excited to begin her journey in the classroom next August and hopes to one day enter school administration or counseling. Knowing she wanted to go into teaching after graduation but hoping for a more traditional liberal art education, Bronwen found the perfect path by joining Teach for America. At BYU, she majored in Psychology with a minor in Writing and Rhetoric. This program of study was less structured and restrictive than a traditional education degree (which she loved! ), and then joining TFA allowed Bronwen to seamlessly bridge into teaching afterward. While she is somewhat nervous that she doesn’t have the coursework or student teaching experience that many of her future colleagues do, she’s confident TFA’s intensive summer training, her experience with The Graide Network, and other TA and tutoring experience will help set her up for success. We’re also confident that Bronwen will be successful in her new role. There is no doubt about that! We can’t wait to see the tremendous impact she’ll have on her students and her school’s culture. Hidden Talent: “I really love to act!” You can catch Bronwen onstage at her local community theater and if you’re lucky you just might get to her her spot-on English accent!